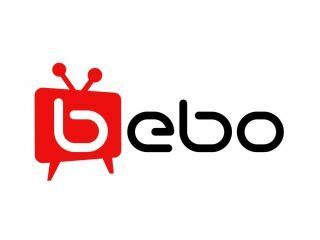 ITV is set to launch its own channel on Bebo as it looks to broaden its appeal to the online market. But the broadcasting company is not yet ready to confirm whether it will be following the BBC's iPlayer onto the iPhone. Social networking site Bebo will now feature an ITV ‘profile’ which will host numerous media channels promoting its programming. American show Gossip Girl will be the first of a raft of programs from ITV2 – which is considered the best fit for the audience. ITV’s head of consumer publicity Hannah Middleton told TechRadar that she felt that the approach was indicative of the broadcaster’s approach to online television. “We’ve made it quite clear that we are looking at third parties to reach the audience, and by using our Brightcove player we are bringing people back into the ITV.com site as well. “We’ve only been launched for eight months and, as we announced last year, we have reached 6 million unique users. We’re starting with ITV2 programmes because we believe that this is the best fit for the Bebo audience,” she added. With the BBC launching its iPlayer on the Apple iPhone, the move onto mobile devices is a hot topic for broadcasters at the moment. But ITV is not quite ready to announce that it will look to move onto the hottest handset on the market. “We’ve got ITV mobile, so any commissions we make are multiplatform, and of course we are thinking about mobile as well,” added Middleton. When asked if any deals were imminent, Middleton added ‘probably’, so watch this space for news on when you could be watching the likes of Lewis and Coronation Street on your iPhone.